Blackboard (Bb) and the HETS Consortium celebrated on September 19, a full day with educational and technology leaders in Puerto Rico during the 2013 Blackboard E-Learning Forum. 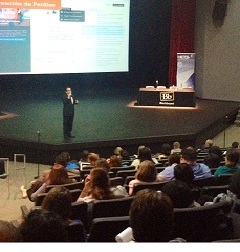 This year event was hosted by the Metropolitan Campus of the Inter American University, San Juan, P.R. More than 20 higher education institutions, corporations and organizations, learned about new technologies, innovations, trends in education and the phenomenon of the Multimedia Student. Visit the page HETS event with Blackboard 2013 link to access the presentations showcased during this forum. More than 90 participants took advantage of the relevant topics discussed. During the event, attendees had the opportunity to interact with colleagues, share learning experiences, and learn new trends in educational technology, innovation and quality in Education and interact with educational leaders’, specialists from Blackboard from Puerto Rico and Latin America. In addition, HETS workshop session during the event provided the opportunity to understand and maximize the use of platforms and its educational tools focused on assessment. Mr. Jorge Salinas, Solutions Engineer at Bb International, opened the informational sessions talking about Blackboard’s general vision and most importantly their commitment towards the Multimedia Student. Following, Ms. Valerie Schreiner, Vice President of Product Marketing and Product Management, Bb Collaborate, explained attendees how expansion of education is supported by Bb Collaborate and its tools. The session continued with a round table discussion moderated by Mr. Andrés Blanco, from Bb, in which Mr. Jorge Salinas, Ms. Valerie Schreiner and Dr. Edgardo Rosaly, Associate Vice president of Academic Affairs at Ana G. Mendez University System, talked about how student have evolved into a Multi media student and how institutions are dealing with these changes to engage them. As part of the afternoon concurrent events, participants had the opportunity to either attend a “hands on” workshop especially for Bb customers or learn more about how other institutions in Puerto Rico have attained successful stories using Bb products and tools. 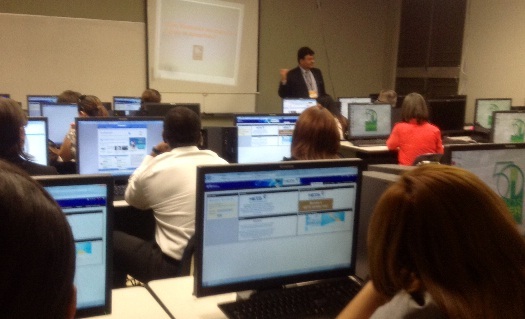 HETS expert, Dr. Edgardo Rosaly offered the workshop on Bb’s assessment tools available through the platform. 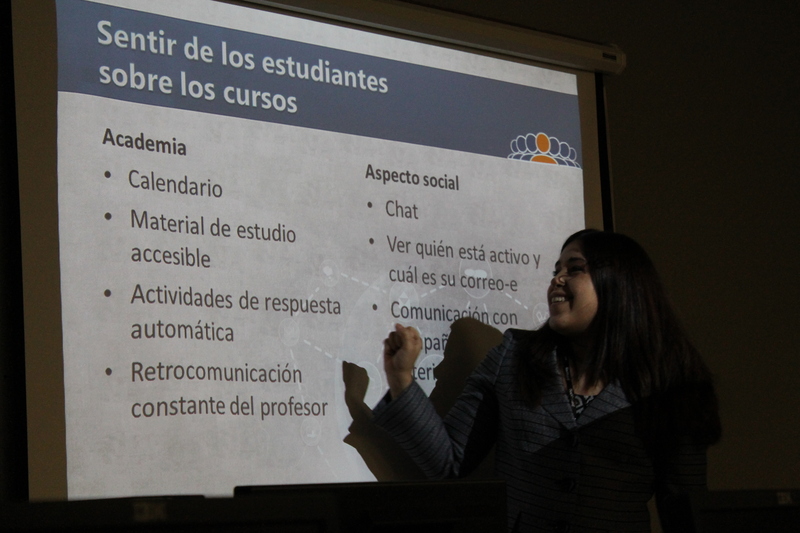 Concurrent with this workshop, a successful story from Huertas Junior College using MoodleRooms was presented by María M. Cruz-Guilloty, Dean, Educational Services and Extension and, Mr. Omar Fenollal, Virtual Platform Administrator. The second successful experience was presented by the National University College Online team headed by Ms. Bessie Rivera Figueroa, Director, Instructional Design, Ms. Valentina Garramuño, Bb Community Manager and Instructional Designer and Mr. Juan Martínez- Alicea, Director, Centro de Enseñanza y Aprendizaje; regarding online resources and activities to engage academic community at the institution using Bb’s tools. Participants enjoyed a very dynamic environment in which everyone took advantage for the benefit of our students.